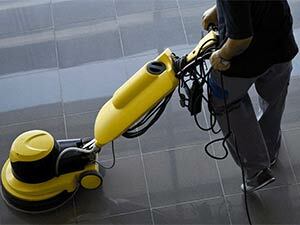 Commercial Cleaning Service- Keep Your Business Looking Sharp! The Cardiff Carpet Cleaning Company proudly serves many valued commercial customers throughout Cardiff and South Wales. Our company provides professional upholstery, rug, hard floor and, of course, carpet cleaning service to a number of commercial clients. These clients range from car dealerships to film lots to retailers and office buildings. You want to make a great first impression on new customers, and one of the best ways to do that is to present a clean business. We can provide you with a high quality, one-time cleaning, or serve you with ongoing and regularly scheduled cleaning agreements. After you choose your service, we are ready and able to provide whatever cleaning service you need in order to keep your business’ upholstery, carpets, rugs and hard floors clean, healthy and beautiful. Your employees and your customers will both appreciate the way your floors look when we are finished. The services we provide will reinvigorate your property and protect the health of those who work and do business there. The level of cleanliness in your carpets and floors give your customers an impression of your business and its commitment to quality. Poor looking floors show a lack of concern about health and presentation, while clean carpets and floors show dedication and a desire to please the customer. We offer a variety of thorough commercial cleaning plans to help your business have the clean floors it requires. It’s recommended that all commercial carpets are cleaned annually, at minimum, to present the best appearance to your customers.We can also guarantee the cleanliness and protection of your carpets and upholstery. Ask about our cleanliness insurance plans and the packages we offer that can keep your business looking great all year long. If you are still on the fence about whether or not to use us for your next commercial cleaning, let us offer you a free demonstration. We will clean a small portion of your carpets or your upholstery to show you what we can do and what a difference professional cleaning can make. Contact us today to ask for a free demo, to require an obligation-free quote or to schedule an appointment for commercial carpet cleaning.